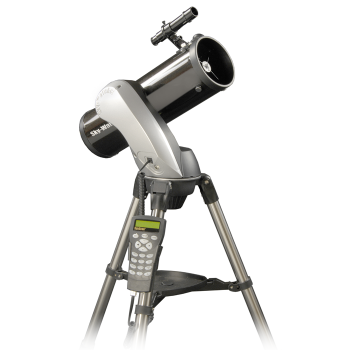 The exciting Sky-Watcher SynScan™ AZ Computerised GoTo telescopes will allow you to easily find and track night sky treasures, such as Planets, Nebulae, Star Clusters, Galaxies and much more. The SynScan™ AZ hand control allows you point your telescope automatically at a specific object, or even tour the night sky at the touch of a button!! The user-friendly menu system allows automatic slewing to over 42,900+ night sky objects. Even an inexperienced astronomer can master its variety of features in a few observing sessions. The Skyhawk-1145P with its superb parabolic optics is a proven all-round performer.